The newer “wide band” O2 sensor solves the narrow sensing problem of the previous Zirconium sensors. These sensors are often called by different names such as, continuous lambda sensors, AFR (air fuel ratio sensors), LAF (lean air fuel sensor) and wide range O2 sensor. Regardless of the name, the principle is the same, which is to put the ECM in a better position to control the air/fuel mixture. But, and this is a big but, these sensors operate differently. They output a minute (small) current or amperage in the Milli-Amp or lower range that the ECM senses and then converts to a signal voltage. It is this signal (Calculated) that's outputted to you via the scanner and you have to trust the scanner, which is not always accurate. 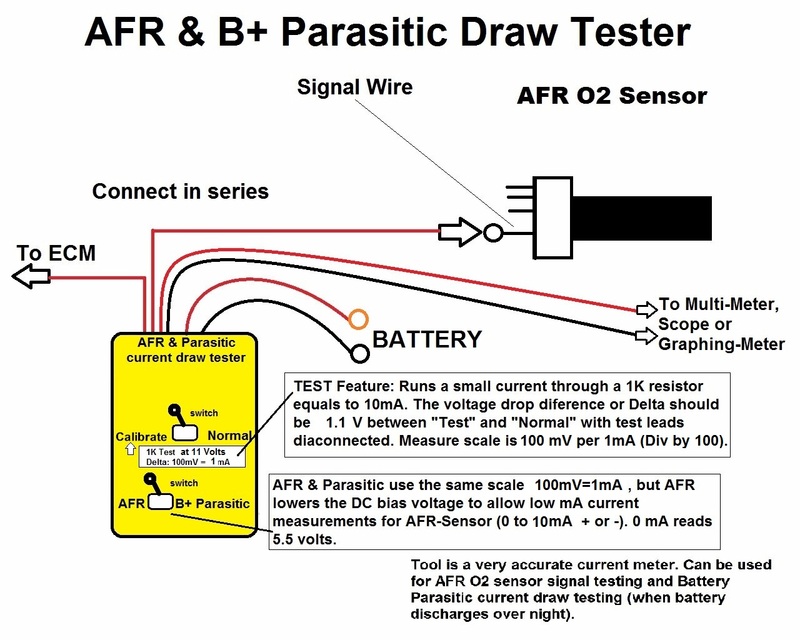 The AFR Tester can also be used to test parasitic battery current draws. Yes, those that discharge the battery over night. 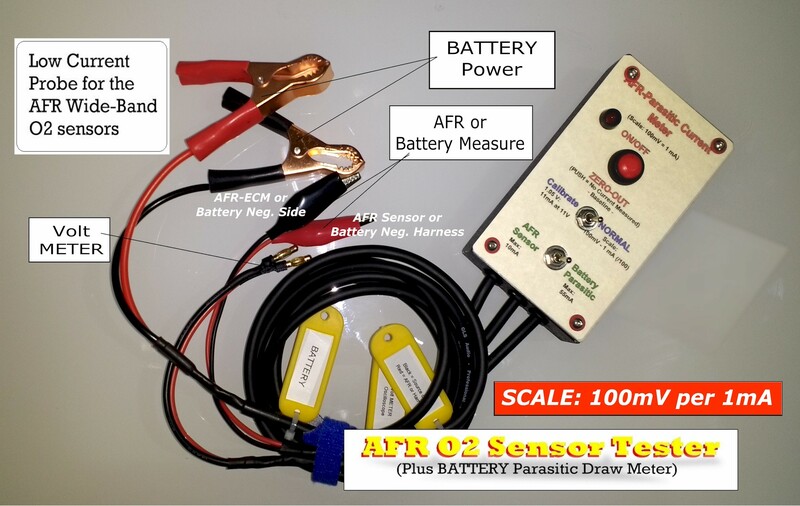 It works by converting the tiny current draw into a voltage that the Voltmeter can measure. 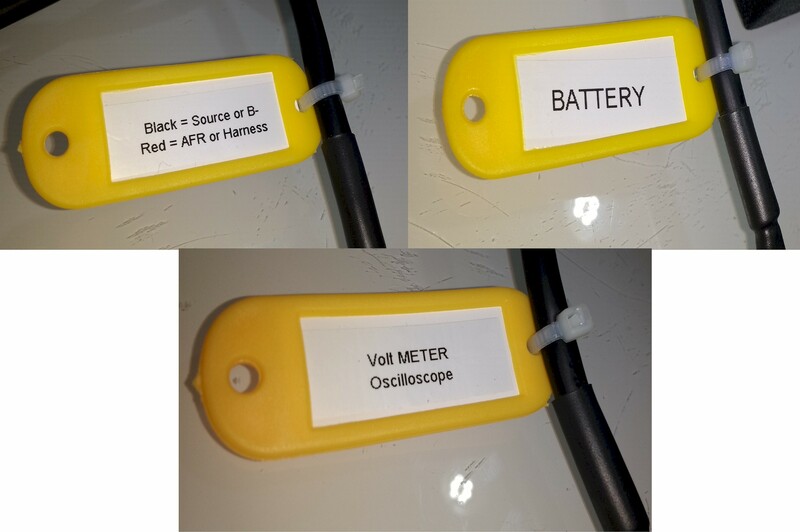 (Click here for our companion website article on AFR sensors). NOTE: Want to order more? See our Equipment-Package-Sets and save. Then check out securely. How many times have you seen the battery of your car discharge overnight, and found out how hard is was to pinpoint the exact cause of the current draw. 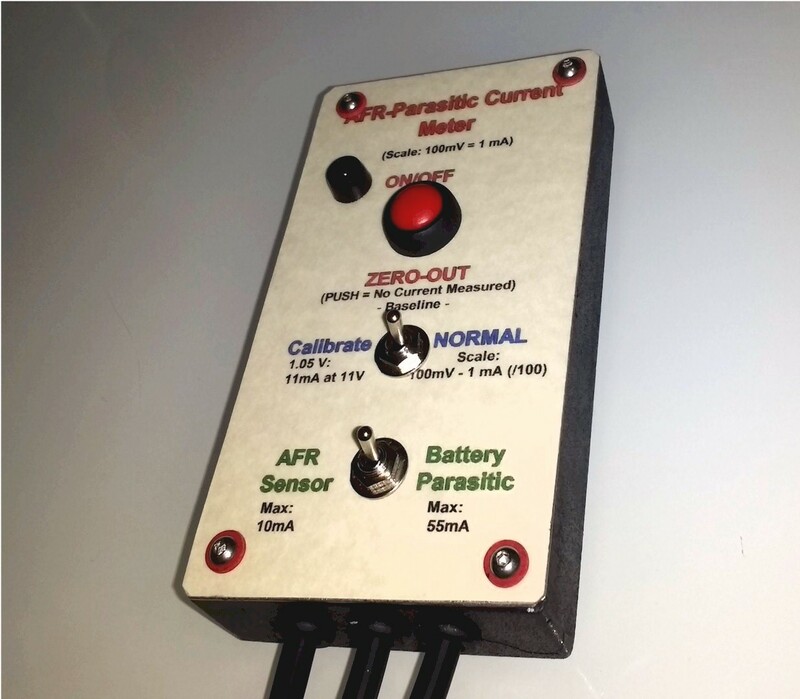 Well, don’t despair, the Parasitic Draw Amp Meter is here. This is a very sensitive gadget. So, be advised that the Parasitic Draw Amp Meter will fluctuate with the slightest current flow. The techniques on how to use this gadget will be shown in the included manual. Automotive parasitic current draw is always the result of a component that’s left turned on, or a short to one of the circuits, as in a shorted module or computer that won’t shut off. Don’t ever remove fuses to be able to find a parasitic draw, or you’ll be a very confused person. Modern vehicles computers take up a while to reset or boot up themselves. On some models as much as 45 minutes. You don’t want to wait that long every time you unplug a fuse. So, do not unplug or remove fuses when tracing a parasitic current draw. The process to trace or find the source of a parasitic draw is straightforward. You need three things, a wiring diagram, the Parasitic Draw Amp Meter here, and common sense. 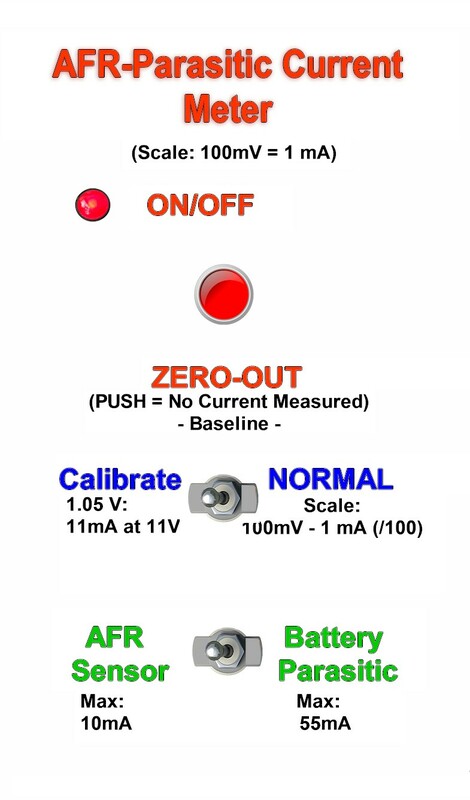 It is not very hard, but 99.9999% of Amp meters out there are not sensitive enough. Here's a low cost unit that can solve your problem.